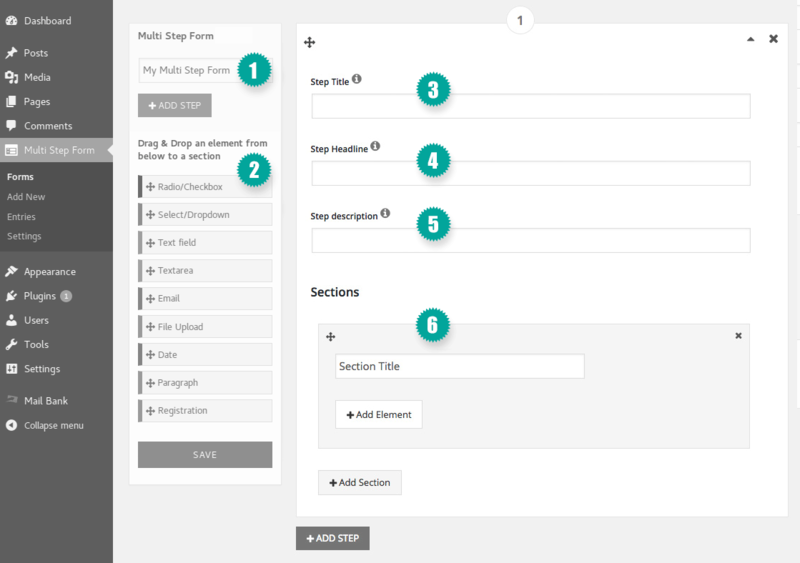 “Steps” – Here u can define the individual steps and fields of your form. There are “Steps”, “Sections” and “Elements”. The steps are divided into subsections (sections), which can be filled with form elements (elements).